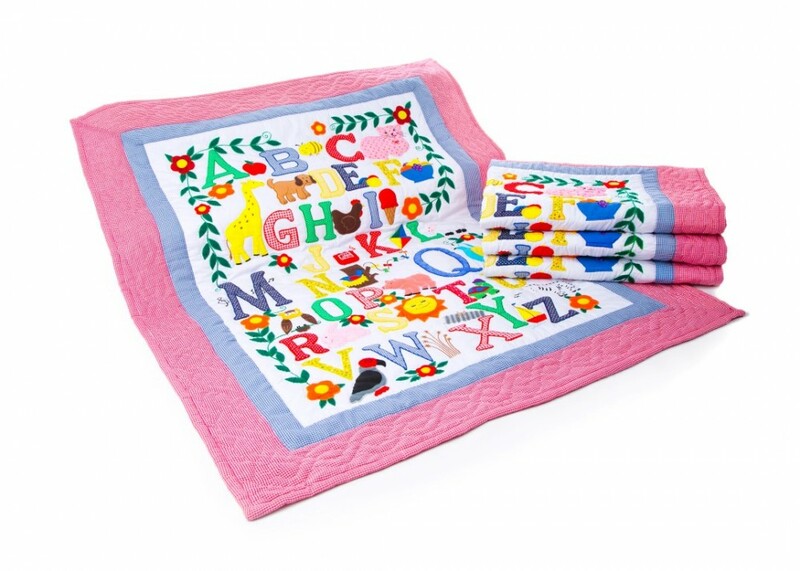 This colourful ABC primary coloured baby quilt/playmat is a real eyecatcher and suitable for either a baby girl or boy with its bright red colourful border. 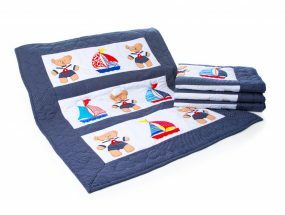 It has multi uses – a playmat to put on the floor for baby to lie on, a bright fun wall hanging or indeed to be used as a baby quilt. When your baby is a little older you can sit together on it and talk about all the characters on display. It is hand quilted and machine washable. 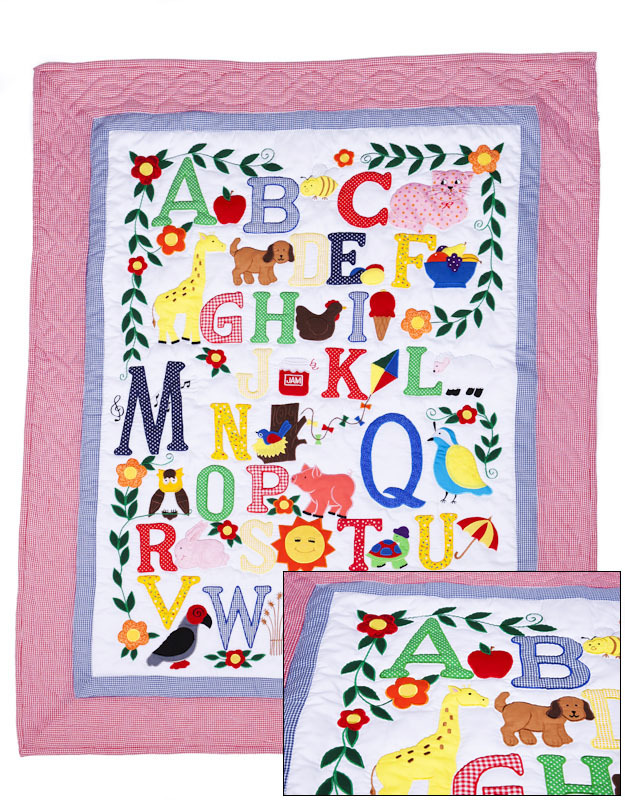 Bright and fun this ABC primary coloured baby quilt/playmat is a work of art. 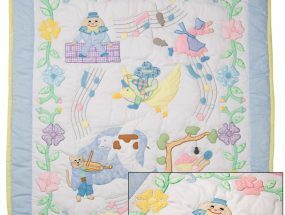 The characters are machine appliqued and then hand quilted around plus a beautiful hand quilted design on the border. It is made from 100% cotton with a polyester cotton filling. They are completely machine washable although should not be dried in a machine. All of our quilt designs are handmade and hand quilted by a talented group of ladies in the Philippines whom we have been working with for over 20 years.